Cycling is on the up. It’s fashionable now (at least in London’s trendier postcodes). All the main candidates for London Mayor say promoting cycling will be a priority if they are elected. The Times has run a major national cycle safety campaign culminating in a parliamentary debate and a frequently antagonistic press has (albeit grudgingly at times) acknowledged the good sense of pro-cycling public policy. So all is rosy then? Not quite. The modal share for cycling in London remains pitifully low, and the capital continues to be a generally hostile place for cyclists, especially the young or inexperienced. Meanwhile climate change, air pollution, inactive lifestyles and too-often dismal urban design pose major challenges to Londoners. It’s all so much different in places such as The Netherlands. 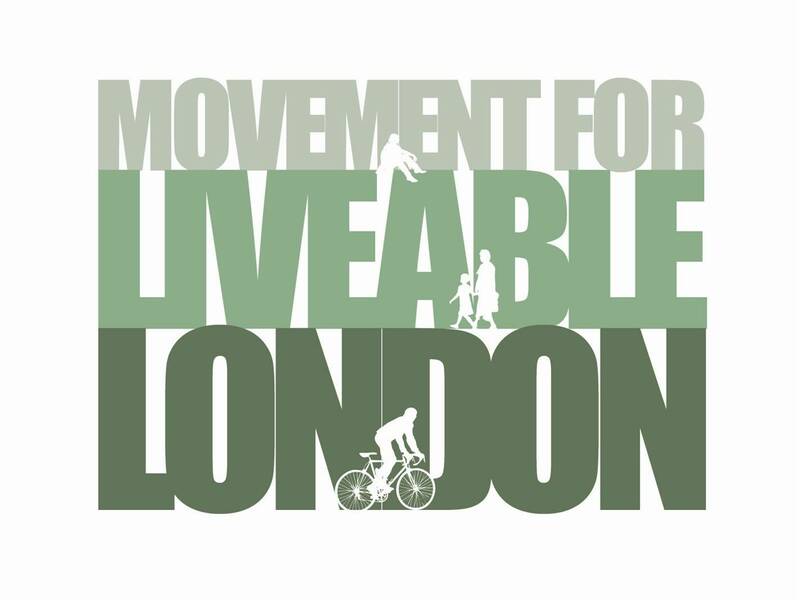 That’s why making London more liveable by making our streets as safe and inviting for cycling as Holland is the benchmark that the London Cycling Campaign is setting this year’s mayoral candidates, though our Love London, Go Dutch campaign. In this talk LCC CEO Ashok Sinha and LCC technical expert Richard Lewis will explain how this can be done, and why the finale of the campaign, the Big Ride on 28th April, is so important. Ashok Sinha is the Chief Executive of the London Cycling Campaign, having previously been the Director of the Stop Climate Chaos Coalition. He has a PhD in renewable energy and spent a number of years pursuing research into climate change science before moving into policy work with Forum for the Future. He has also served as Director of the Jubilee Debt Campaign, during which time he helped found and govern Make Poverty History. His voluntary activities include having been Vice Chair of both Amnesty International UK, and the London Cycling Campaign, and serving on the Advisory Board of Capacity Global. Richard Lewis is a long-time campaigner for sustainable transport, cycling and better cities for people. He works as a principal policy planner for LB Newham and previsouly achieved signing of a Road Danger Reduction Charter at Haringey and Brent Councils, translated into enduring policies and new approaches to street design. His Brent policies influenced LB Lambeth to take up RDR and to go further than Brent by appointing a dedicated RDR officer. He has written a Local Implementation Plan, annual transport funding bids and transport/urban design policies; completed progressive danger-reduction related public realm design guides for Hackney and Newham; and obtained seed funding to establish with the local community a streets for people scheme in Kilburn, which was eventually completed using £1.2m of TfL funding. Richard takes inspiration from a recent visit to Copenhagen which transformed his views regarding cycling infrastructure, bringing him closer to LCC’s Go Dutch campaign. I do understand how exciting and persuasive the landmark initiatives proposed by LCC would be – but as a first step? The case is, the grandiose scheme at Parliament Square, for example, estimated to cost £10m, would benefit all of the visitors to Westminster Abbey and the Houses of Parliament, I grant you, but only a tiny percentage of London’s cyclists; whereas a comprehensive, city-wide cycle network developed, in the first instance, quickly and cheaply, would benefit pretty much all of the capital’s bike-riders, to some extent at least. A little while back, Dave Horton asked the question, Who is cycling for? He concluded his post by saying that when it becomes very much easier to move by cycle than it is to move by car, cycling will be for “almost everyone”. However, until this fine day arrives, until all the dangerous junctions in London have been treated, who is cycling for? It’s a fair question. Within a relatively short period of time, we could have a functioning cycle network which would serve many of the needs of *existing* cyclists, even if it does very little indeed to serve the needs of might-do or would-be cyclists, and does absolutely nothing at all to address the biggest problem of them all, that of dangerous junctions. But so what? “How can cycling be taken into account when dealing with public space? How to approach a cycling network? This sounds like a plan: analyse journeys – plan the network – implement the network on the basis of priority interventions and a timetable. One need only look at old LCN / LCN+ maps to realise the prudence of developing a network to a minimum level of functioning as a first step. Get the network up and running! Do as much as possible at least cost first! That it may not be subjectively safe for all users is by the bye. That it may not be exciting and persuasive and “more imagination-intensive” is similarly irrelevant. The point is that, for the first time in the last thirty years, London would have a functioning cycle network, and from here the only way is up. I want to reassure you that I am not simply about showcasing potential fancy projects. Our thoughts are more about using landmark examples to try and excite and persuade public and politicians that there is a better and more imagination-intensive way of delivering cities, as a headline. That this appears to be an example of “big-project-itis” hides the fact that its delivery depends mainly on many small and well designed elements that properly serve the needs of cyclists, moving away from the tick-box of how many kms of cycle lane and towards a real idea of how, as a result, people feel about cycling and their experience of the city. Perhaps the greatest dividend from the Cycling Superhighways network is the small measures including cycle training delivered to residents and businesses along the routes, rather than the blue paint–yet it is the blue paint the media and politicians have talked about and which most catches the eye–and it would be difficult to do anything other than improve such a mark in the sand. I agree that, like painting by numbers, smaller projects together create the bigger picture. On the continent, of course, the majority of urban streets have no dedicated cycling infrastructure at all. We need a mix of all things: we need neighbourhoods that are permeable to pedestrians, buses and bikes but less permeable to cars; we need to address road danger in the design of our public realm through the implementation of well thought-through guidance; we need to use parking supply and pricing mechanisms to reduce car dependence and use, and we need to target more dedicated infrastructure where it will deliver the most benefits–the latter being important as the most visible contribution. We also need to recognise that cycling infrastructure is relatively inexpensive. If integrated with maintenance and new public realm projects the marginal costs are virtually zero–enabling bigger projects to be delivered in an integrated way rather than expensively and badly bolted on. Thanks for the comment Simon, I think the intention is to cover both what physical changes could/should be made and how to secure investment and support for the reallocation of road space. I expect the question of how to get there will be explored in detail during the discussion too. My concern is simply that we are going to restrict our discussions to the world as it ought to be, that’s all. He also says, “If something is really worth achieving then it is almost certainly against the odds to attain. If the obstacles weren’t formidable we’d have vaulted them already.” This is very disingenuous of him. For one thing, until fairly recently LCC were dyed-in-the-wool vehicular cyclists (as Thomas Paine notes: “Time makes more converts than reason”); for another thing, not all of the things that are “really worth achieving” have been realised (as Lynn Sloman points out in her book ‘Car Sick’: “The focus of our attention should switch from a few grandiose engineering schemes to thousands of small initiatives”, to begin with, at least); and for another thing, his attitude strikes me as particularly defeatist (as the Chinese proverb makes plain: “To get through the hardest journey we need take only one step at a time, but we must keep on stepping”). You write: “In this talk LCC CEO Ashok Sinha and LCC technical expert Richard Lewis will explain how [making our streets safe and inviting for cycling] can be done.” What I would like to hear them explain, then, is how to get there from where we are now, and not simply to point out all the variously wonderful ways that the Dutch treat their junctions, etc. We know that cycling conditions in Holland are to be emulated: the question is, how to get there. The Dutch have a 40-year head start on us, so let’s keep it real.